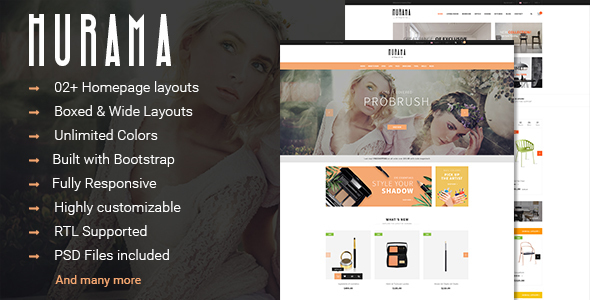 Hurama – an exquisite Prestashop theme has everything you need to cosmetics store. Plus, 2 homepage layout options and tons of uniquely outstanding features are waiting for you to boot your store. Hurama is suitable for any users from users with no coding knowledge to developers. Find out more powerful features in Hurama now! Hurama is designed to be fully responsive. It will make your site have amazing look on different screen resolutions such as: mobile, iPhone, iPad and other tablets. Support various Preset Color Styles: Orange, Red, Lime, Blue, Cyan and Brown.